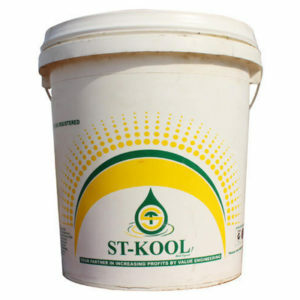 ST KOOL Synthetic range of cutting oils are new generation products, using latest chemistry. Our Synthetic products contain no heavy metal. These products are also Machine safe & Human safe. ST KOOL 1000 is Water Soluble Synthetic Cutting Oil specially formulated for getting the higher sump life with excellent workability on Grinding operations. This product is environment friendly, as it does not contain any heavy metal. It gives excellent flushing, which reduces your grinding wheel dressing frequency, thus giving more productivity. ST KOOL 1000 is specially formulated to give corrosion protection even in humid atmosphere, thus giving less rejections of WIP. It is totally safe product for operators as well as costly machines.